If you’re constantly on the lookout for some of the best Christmas lights in the Nashville area, look no further. We’ve got you covered with a list of some of the best in the area (and we’ll be updating throughout the season)! 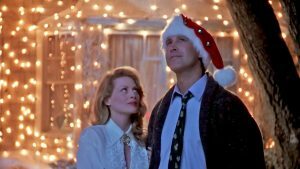 So bundle up and head out to experience these visual holiday delights that will make everyone’s inner Clark Griswold radiate with pride! The Dancing Lights of Christmas returns for it’s 8th consecutive season. Wilson County and the James E. Ward Agricultural Center, home of the Wilson County Fair, will host the Dancing Lights of Christmas this holiday season.​ The new location comes with new displays and an extended drive route, some new rocking’ Christmas tunes and an expanded Fox17 Santa’s village. ​With over one and a half million lights dancing to the music on the radio, each visit will be a new experience. It’s a great evening for the entire family​! Delight in the joy of the holiday season during Holiday LIGHTS at Cheekwood. Nashville’s favorite tradition returns with ONE MILLION LIGHTS illuminating their gardens for the prettiest winter stroll of the season. Immerse yourself in the story of A Christmas Carol like you never have before as magnificent illuminated lanterns guide you through Dickens Village. Lights on Old Charlotte is located in Franklin, Tennessee. 2017 is their 12th year of doing a computerized Christmas display. Over 60,000 Lights and 128 Channels of Light-O-Rama Computer Control await. Located at 2613 Old Charlotte Pike in Franklin, TN, their show runs 4:30-10:00pm daily through Christmas Day. However, it may be disabled in the event of inclement weather. Lights On Logan runs through December 31st. Over 35,295 lights synchronized to 368 channels of computer controlled animation will help make the yuletide bright! The show runs nightly from 5 p.m. until 10 p.m.
Meet the Christmas light display that definitely gives Gaylord Opryland a run for their money! With over 2 million lights, Chad’s Winter Wonderland is a must-see experience of any Nashville area Christmas celebration.